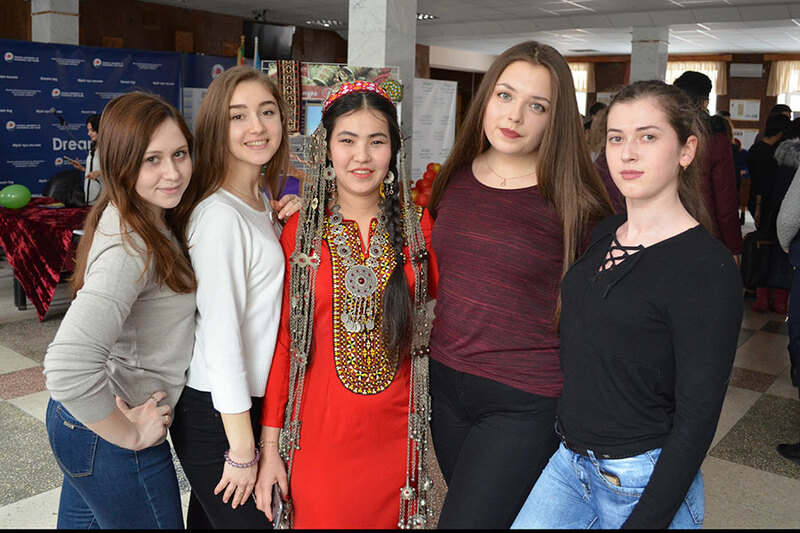 The Faculty of Foreign Languages ​​celebrated the arrival of spring “Novruz Bayram”. From 19 to 23 March in many countries of the Muslim world “Novruz Bayram” is celebrated. In translation it means “a new day”. In fact, this is the Muslim New Year. So, the reason for joy and fun is very serious. 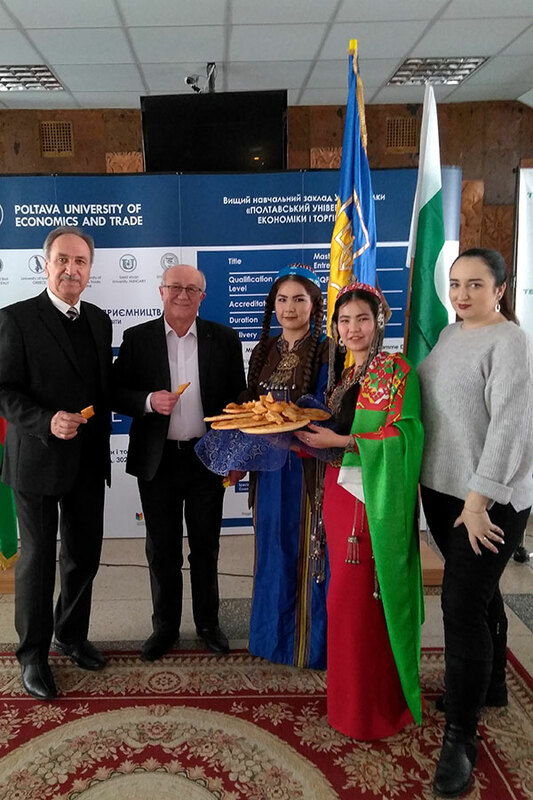 The combined creative efforts of students from Turkmenistan, Azerbaijan, Turkey, studying in the city of Poltava, this multi-day holiday was completed with a joint concert at Poltava University of Economics and Trade. In the center of attention of the audience were energetic dances, heartfelt verses, melodic songs performed by girls and boys from the Faculty of Foreign Languages. The lecturer and managers of Luhansk Taras Shevchenko National University danced lezginka together with students. 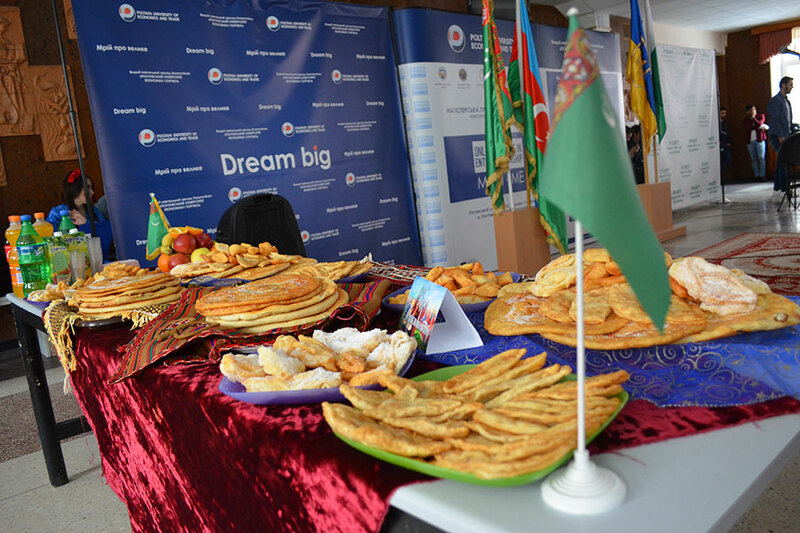 The guests were treated to traditional dishes, oriental sweets and drinks. 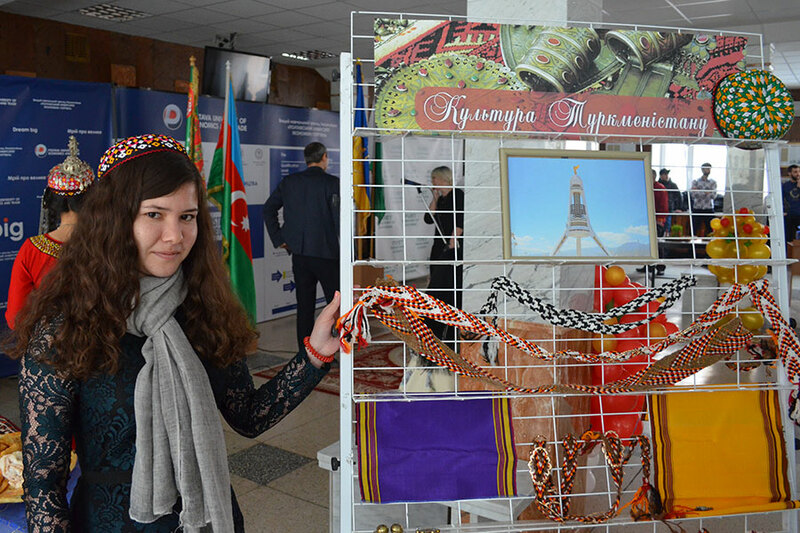 Samples of Turkmen national clothes, headdresses, embroidery, and ornaments were presented at the cultural exhibition. They looked particularly impressive on the girls during the dance, reminiscent of the primroses on the green spring meadow. All participants of the festive concert were awarded with gifts and honorary certificates. But most of all in memory there will be cheerful smiles and friendly photos on memory of the spring holiday.